Rachael Ray will be live on Facebook tomorrow morning to answer questions and talk about behind the scenes info regarding her show. 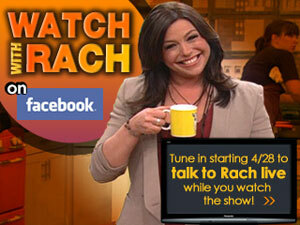 Here's a schedule of when Rach will be on Facebook for chatting. I bet this event will be a madhouse, but I'm interested to check it out!